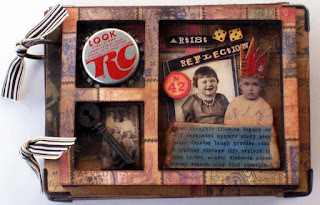 First I'd like to thank Tim Holtz and Ranger for adding distress to my life. These products are awesome. 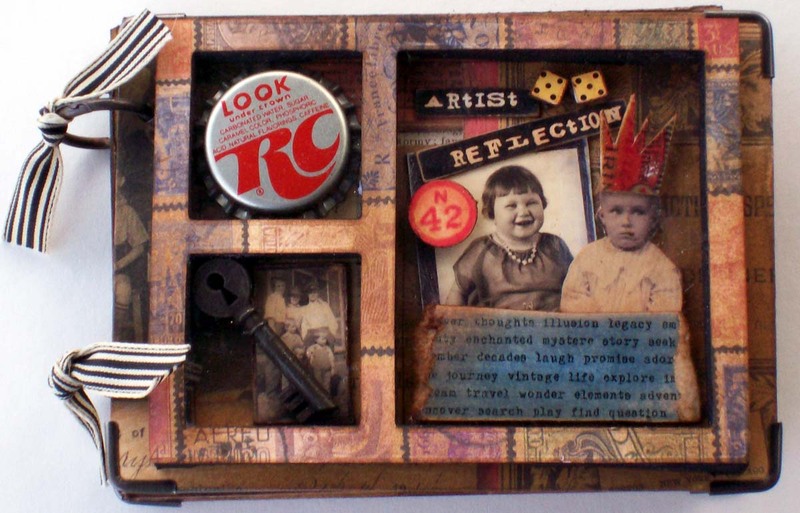 I created this little collage journal book from plain 'ole chipboard utilizing distress inks, 9 X 9 double-sided cardstock, distress embossing powders, bits of ephemera, vintage photos, collage etc. 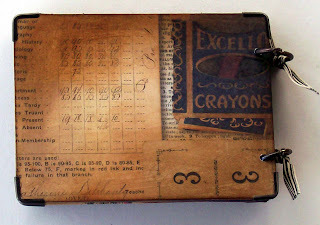 The cover of this journal is created using foam core to raise window template and mica to cover the three individual windows. 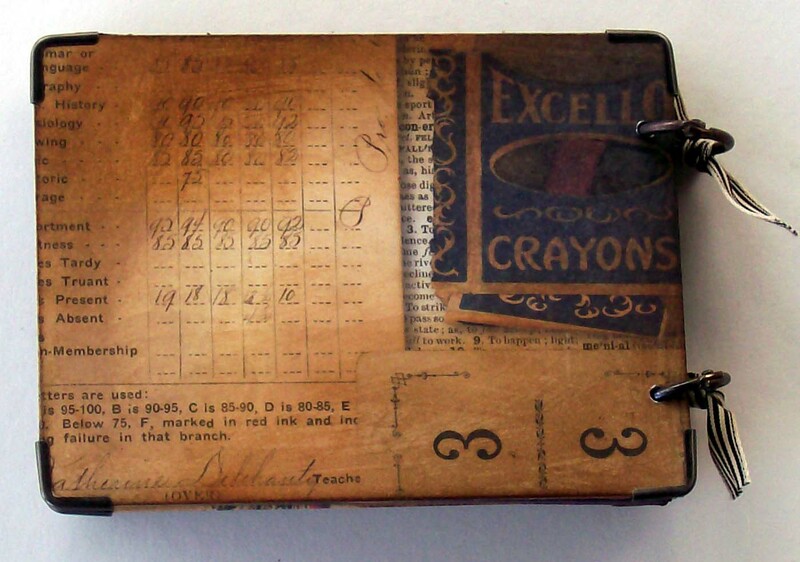 On the inside, there are several pages with pockets to add other fun stuff. This is the back. It' put together with small binder rings and ribbon. Metal tabs are crimped around the edges. Thanks for stopping by! Don't forget to mosey on by my other spot: "The Artful Eye"